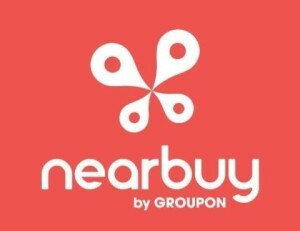 Hi Dealsnloot readers, Nearbuy Loot – Get 50% off on your 1st purchase at Nearbuy website or Nearbuy Mobile App upto Rs 300 (This offer is valid for New Nearbuy users only) .NearBuy is a Online Shopping Portel By Groupon which offers great price & offers of products, we can buy many products, gift vochers, travel deals & even Daily services like Spa, Saloon etc. They are Becoming populer day by day because of there good services. From the past few days they are Populer Because of there Paytm Pay 500 & get 550 Back offer & Many other Voucher deals like Big Bazar, Dominos and many more.Grab This loot Offer and Deals. 1) Firstly Login / Sign up to your account. 4) Enter your Shipping details. 6) You will get receive a discount of 50% up to a maximum of ₹ 300, only on their first transaction with nearbuy. 2. Here you will see your referral code. 3. Share this code with your friends. Now if your friends creates an account on nearbuy and buys a deal and applies your referral code, he will get 100% discount upto Rs 300 and you will get Rs 300 credits after his purchase. 4. You can earn max Rs 1500 credits through this program. General: The nearbuy Referral program is valid for Registered Users onnearbuy Platform, i.e. nearbuy App/ nearbuyWebsite (www.nearbuy.com). Existing users can earn ₹300 as credits by sharing their unique Referral Codes with friends. The Referred User (“Referee”) must have never transacted with nearbuy before. The Referral program is valid across all offers in all cities on the nearbuyplatform. Earning referee discounts: Referees will be able to receive discount of up to ₹300, only on their first transaction withnearbuy. When making their first transaction, they should use the unique Referral Code as a Coupon Code. In case a Referee makes a first transaction of ₹300 or more, he/she will receive discount worth ₹300. In case, however, the Referee makes a first transaction of value lesser than ₹300, he will get discount equal to the transaction value, and the balance amount will lapse. Referral Code for the first transaction cannot be used in conjunction with any other Coupon Code. Earning referrer credits: You will receive nearbuy Credits worth ₹300, once your friend redeems the voucher purchased in their first transaction within the validity period of the Voucher. Referral program maximum limit: Under nearbuy Referral program, each Referrer can introduce any number of his friends to nearbuy. While, every Referee who uses the Referrer’s code on their first transaction, will get a discount of up to ₹300, the Referrer will only be able to earn nearbuy Credits worth ₹300 each for the first 5 redemption by his friends, i.e. a Referrer can earn a maximum of ₹1500 nearbuy Credits. Meaning of redemption: Redemption shall mean different things for different nearbuy verticals. For a Local offer, Redemption will happen when the Referee shall make use of his/her voucher at merchant location. For a Travel offer, Redemption shall mean a “Check-In” into the destination hotel. For a Product offer, Redemption shall mean delivery of the product. In case, Referee’s first transaction is comprised of multiple vouchers, redemption of any one of those vouchers shall make the Referrer eligible for availing the Referrer Credits. Validity: This Referral Program shall be valid until 31st December 2016. You need to make your friends transact withnearbuy, and redeem their vouchers within this period, in order to enable yourself to earn Referrer Credits. Referrer can find his/her Referral Code in their ‘Refer a Friend’ section on the Side Menu on the nearbuy App and in the ‘My Account’ section on the website. Nearbuy reserves the right to deny honoring the offer on the grounds of suspicion or abuse of the offer by any customer without providing customer any explanation thereof. Validity of referral credits: The Referral credits earned till 31st December 2016 shall expire by 31st March 2017. Cancellation policy: In the event of cancellation of the first transaction by the Referee, he or she will not be eligible for obtaining Referral Discount again. Consequently, the Referrer will also not receive credits attributable to that specific Referee. Termination: We may terminate your eligibility to earn Referral Credits or terminate your account, or the accounts of nearbuy members you refer, if you or they open multiple accounts, including with different e-mail addresses, for the same person in order to generate additional referral credits; refer customers using spam, display advertising or sponsored links; use false names, impersonate other people, or provide misleading information; or violate these terms or any other terms and conditions on nearbuy platform, including but not limited to the Referral Program Terms & Conditions in any way. We reserve the right in our sole discretion at any time and without prior notice to you to add to, remove or otherwise change these terms, including without limitation: changing the amount of the Referral Credits, modifying how you may earn and spend Referral Credits, modifying the duration and expiration of Referral Credits, requiring minimum purchase amounts for use of Referral Credits, instituting maximum amount of Referral Credits that you may earn, and discontinuing the nearbuy Referral Program. We will post an updated version of these terms on all nearbuy platforms or any one of them and you will be deemed to have accepted such changes by continuing to use the nearbuy platform or the nearbuy Referral Program after the date such changes are posted.